Thousands of people in long-term mortgage arrears are failing to engage with their lenders, new Central Bank research shows. The regulator said that four out of 10 borrowers who are more than two years behind on their mortgage have not engaged with their bank. This meant these people had no sustainable solution in place. The number of people in long-term arrears is also rising in the five main banks, the Central Bank research shows. Being in long-term arrears is defined as being more than two years behind on repayments. Someone in this situation could have resumed payments but still have failed to clear more than 720 days of payments. But the research paper says almost 40pc of those in long-term arrears are ignoring their bank, 10 years after the economic crisis erupted. Some 44pc of mortgages that are classified as being in long-term arrears have notched up five years of missing payments. The stark research shows that many of those in longer term arrears have ended up deeper and deeper in debt as they are failing to confront the issue. David Hall, of the Irish Mortgage Holders Organisation, interpreted the report as indicating that the Central Bank expects 14,000 homeowners in long-term mortgage arrears are set to lose their homes. This is based on a statement in the Central Bank research that says half of those in long-term arrears risk having to give up their homes. The research paper points out that banks have had to be forced to tackle the problem loans, with the Central Bank introducing new rules. These changes include restricting banks from moving quickly to repossess homes for those in arrears, in a bid to get them to do restructuring deals with borrowers in default. But there is no mention of strategic arrears in the academic paper issued by the Central Bank. This is where people who can pay something, or even all the monthly repayments, refuse to make any repayments. Some 29,000 borrowers were in long-term arrears at the end of December, separate Central Bank figures show. However, this figure includes all lenders. 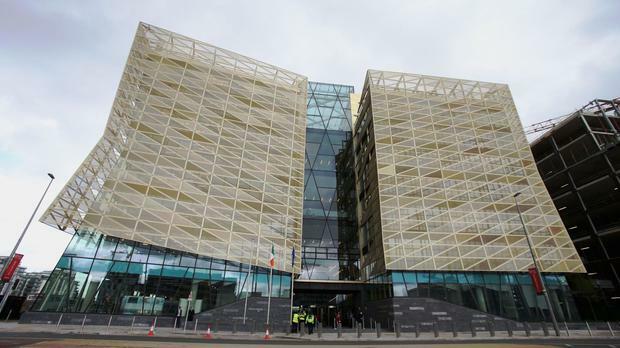 Central Bank deputy governor Sharon Donnery warned that the arrears situation appeared to be getting worse.